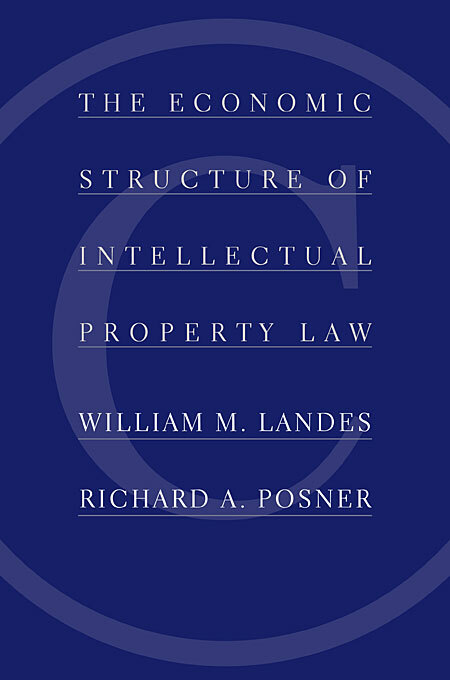 This book takes a fresh look at the most dynamic area of American law today, comprising the fields of copyright, patent, trademark, trade secrecy, publicity rights, and misappropriation. Topics range from copyright in private letters to defensive patenting of business methods, from moral rights in the visual arts to the banking of trademarks, from the impact of the court of patent appeals to the management of Mickey Mouse. The history and political science of intellectual property law, the challenge of digitization, the many statutes and judge-made doctrines, and the interplay with antitrust principles are all examined. The treatment is both positive (oriented toward understanding the law as it is) and normative (oriented to the reform of the law). Previous analyses have tended to overlook the paradox that expanding intellectual property rights can effectively reduce the amount of new intellectual property by raising the creators’ input costs. Those analyses have also failed to integrate the fields of intellectual property law. They have failed as well to integrate intellectual property law with the law of physical property, overlooking the many economic and legal-doctrinal parallels. 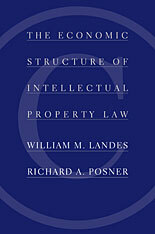 This book demonstrates the fundamental economic rationality of intellectual property law, but is sympathetic to critics who believe that in recent decades Congress and the courts have gone too far in the creation and protection of intellectual property rights.